The newly formed Shan Nationalities Democratic Party (SNDP) plans to contest in 40 out of 55 townships in Shan State in the forthcoming general elections, according to party chairman, Sai Ai Pao. Apart from Shan State, the party is going to contest in other states and divisions: Kachin and Karenni states and Rangoon, Mandalay, Pegu and Sagaing divisions where most Shan residents are living as well. In Burma, Shan has the second biggest population after Burman population. So far, there has been no information about whether the party registration is accepted or not by the Union Election Commission. But the UEC had mentioned that the result will be confirmed on 21 April, said Sai Ai Pao. The party had applied for the registration on 8 April. 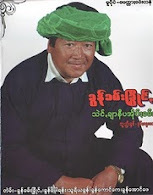 The party’s Vice Chairman is Sai Saung Si, former elected representative of Kyaukme constituency No#2 in 1990. There are 15 CEC members. According to the party, its aim is to pave the way for the people in Shan State to have more choices and to represent them in working for their rights and to protect them. The party also plans to win seats for the State Legislature. “With luck, we can even become vice presidents of the union,” he said. On the other hand, Sao Noan Oo of Lawksawk State, former Federated Shan States, expressed a different view that the planned elections have no prospects for any ethnic nationalities. “Some of you might think that you will be able to alter things by working within the system. If you do, you will be offering your services to the devil and will die regretting the mistakes you have made as in the case of the Shan activist, Khun Htun Aye (who became head of Shan State after the 1962 coup) as stated by his son Henri-André Aye,” she said. Nevertheless, so far there are 19 political parties that have submitted applications to the Union Election Commission to contest the general elections. There are also 10 other existing parties that had contested the 1990 elections whose names have not yet been withdrawn by the military junta. Among them 6 parties are from Shan State. Three of them so far have registered for the elections: National Unity Party, Mro or Khami and Union Karen League.